High temperature and high ethanol concentrations obviously affect vinegar fermentation. The thermotolerant and ethanol-resistant strains are expected to become one of the technologies for effective vinegar fermentation. 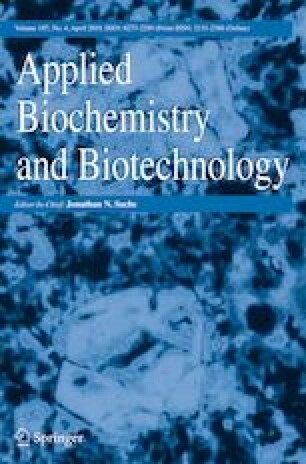 This study aimed to further improve thermotolerant Komagataeibacter oboediens MSKU 3 through thermal and ethanol adaptations for acetic acid fermentation. The MSKU 3 strain was independently cultured by a repetitive cultivation in gradually increasing temperature from 37 to 39 °C for thermal adaptation, while adaptation to ethanol was carried out from concentrations of 3 to 5.5% (v/v) at 37 °C. Acetic acid fermentation revealed that the thermo-adapted T4 strain could produce 2.82% acidity with 3% ethanol at 39 °C, whereas the ethanol-adapted E3 strain could produce 3.54% acidity with 5.5% ethanol at 37 °C, in contrast to the parental strain, MSKU 3, in which no fermentation occurs at either 39 °C or 5.5% ethanol. Furthermore, genome mapping analysis of T4 and E3 strains against the genome of parental strain MSKU 3 revealed several mutated genes that are associated with thermotolerance or ethanol adaptation. The occurrence of these adaptation-associated mutations during adaptive evolution was also analyzed. Therefore, adapted strains T4 and E3 revealed the potential of Komagataeibacter oboediens strain improvement to further enhance vinegar fermentation with high ethanol concentration at high temperature. The online version of this article ( https://doi.org/10.1007/s12010-019-03003-3) contains supplementary material, which is available to authorized users. This work was financially supported by the Golden Jubilee PhD Program (grant no. PHD/ 0242/ 2553), Department of Microbiology and the Graduate School, Kasetsart University. A part of this work was carried out through collaboration with the Core to Core Program supported by the Japan Society for the Promotion of Science (JSPS), the National Research Council of Thailand (NRCT), Vietnam Ministry of Science and Technology, National University of Laos, University of Brawijaya, Beuth University of Applied Sciences, and The University of Manchester, and also supported financially by the Advanced Low Carbon Technology Research and Development Program (ALCA: JPMJAL1106) of Japan Science and Technology Agency (JST). We would like to express our sincere thanks to Assistant Professor Dr. Naoya Kataoka, Yamaguchi University, for useful suggestions.